The charity which came under fire for presenting former Prime Minister Tony Blair with a global legacy award has apologized for upsetting staff and supporters. The apology follows a widespread backlash against the decision, with an online petition garnering over 100,000 signatures. The petition called for the award to be rescinded, with over 500 staff at Save the Children backing that request. Protesters were outraged that the charity had seemingly overlooked Blair’s decision to invade Iraq as part of the US-led offensive in 2003, which was responsible for the killing of thousands of civilians. 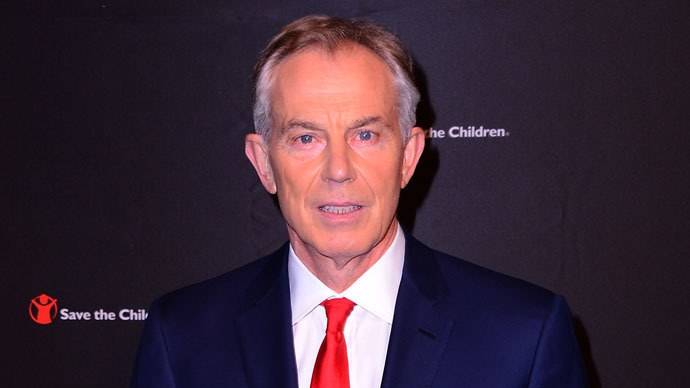 Forsyth said the decision to hand Blair the award was made by the charity’s “sister organization” in America, where Blair did not have as controversial a reputation. He further said the award was only for his work in Africa. “And if it had been for his wider legacy I think it would be wrong, but it was for something quite specific that helped Africa and children,” Forsyth said. “I'm sorry it's upset so many people. It's not really what we do at Save the Children. What we're really doing is on the ground in Syria with the Ebola treatment center in Sierra Leone – that's the work we do. “This has been really an unnecessary distraction. I do apologize to those people that it's upset,” he added. Before eventually joining Save the Children, he was a strategic communications and campaigns director for former Prime Minister Gordon Brown.